This was a class assignment to pick a music artist/group that I liked and then create a flash web site for them. The site needed to fit the artists/groups style but to also give a personalized feel. Creating all the graphics, besides the images, with vectors allowed for great manipulation throughout the creation process. 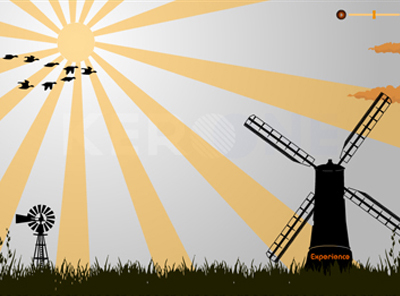 The artist Kero One actually went on to use some of the graphics I made in this demo site. This class competition was for an actual client, Avila Surf Shop. Taking the provided images and style ideas from the Avila owners, the 15 students came up with many different ideas. The competition ending with multiple parts of different students sites being used. My Boards and Contact page ideas were used on the clients finished web site. 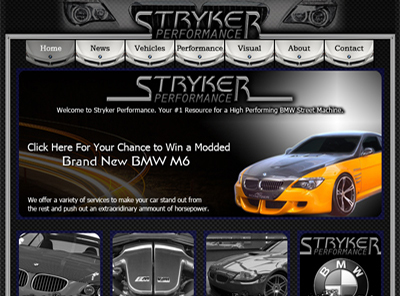 This site was a class assignment where I had to make up a company, design their logo, and then design their web site. Giving the site the look the business would want to be portrayed by. I went on to win a coding competition in the class, for the easiest HTML and CSS to understand and manipulate. This class assignment was a group effort in making a demo web application. 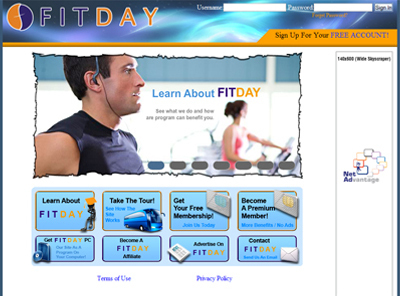 My job was to create the fundamental layout idea for the main page of the site. The two viewable pages in this concept are the home page and the signup page. This class assignment was to create a web ad for a company of my choice. Limited to file size, ad size, and ad length, I was forced to be strategic in getting the point across easily. 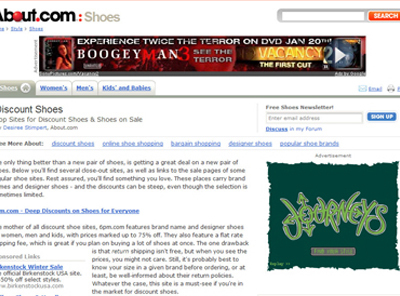 The ad can be seen on a mock site, to show how it would be seen when used. 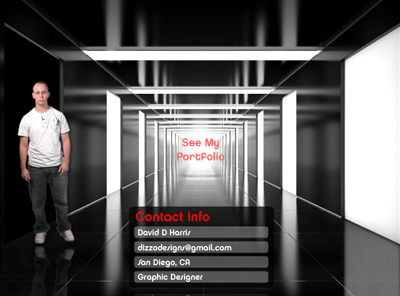 This class assignment was to create an Adobe Air App as an intro for my online portfolio. Flash was used for the animations and app creation.